Xenadrine NRG is a weight loss supplement containing a mix of ingredients designed to increase energy and fat metabolism. It is formulated as an extended-release supplement that keeps working for eight hours and is available in capsule form. 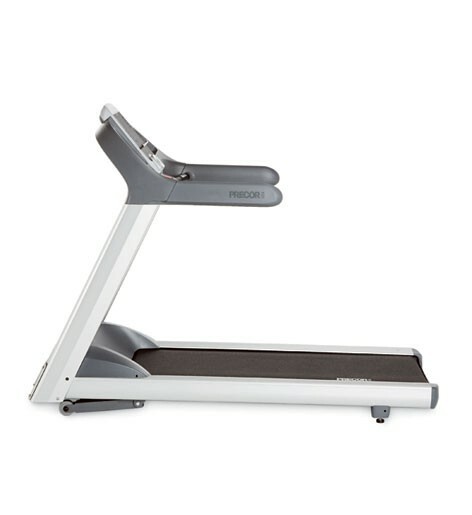 It claims to be able to help you lose weight as well as supply you with incredible amounts of energy for 8 hours. Norambrolide: This is a fermented sage compound and is known to increase the levels of a cellular messenger called cAMP (cyclic adenosine monophosphate). It translates signals from the outside of the cell to its inside and activates cellular enzymes and other substances that play a significant role in the process of fat loss in the body. It has the capacity to by pass the adrenal glands and increases the cAMP levels directly without having any side effects. Thermoxanthin blend: This comprises of a combination of Yerba Mate,Guarana, Green Tea and Cocoa seed extract. Each of these is rich in methylxanthines. As per research theobromine and related methylxanthines have a thermogenic effect on the body. 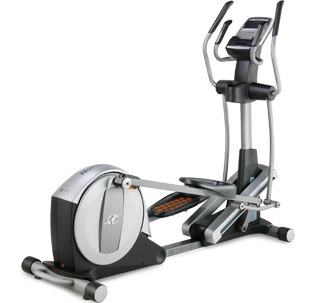 They enhance the process of production of heat, curb appetite and result in loss of calories and fat. Vitamin b12: This vitamin is essential for the maturation of red blood cells that are the main carriers of oxygen in the body for energy metabolism. Adults take 2-4 softgels daily with meals or as directed by a physician. 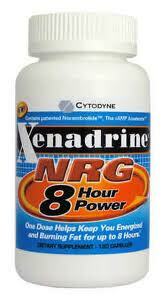 4 capsules of Xenadrine NRG should not be exceeded on a daily basis. The dosage should not be repeated within duration of 8 hours. 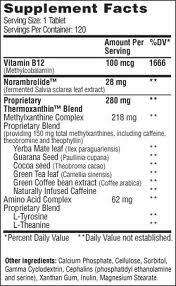 If you are a regular caffeine drinker, low doses of the supplement might not be very effective. In case of dizziness, stomach cramps, increased heart beat, nausea etc. discontinue taking the drug.